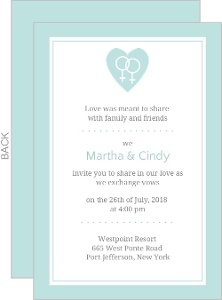 If we had what we wanted in life, we wouldn't have to create a separate page for our gay wedding invites, because they're just like regular invites, and should be treated the same. 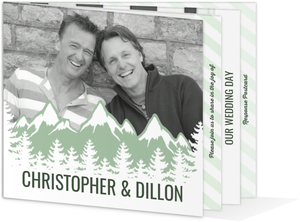 There's very little difference unless you're really flying your pride flag and want your cards to match that. 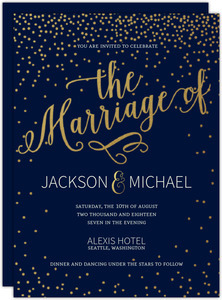 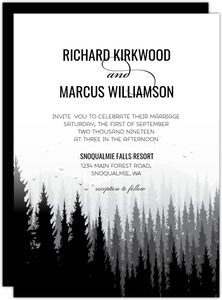 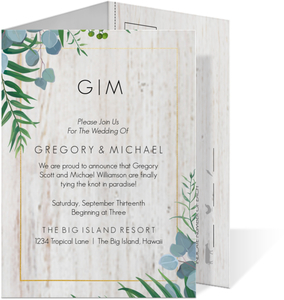 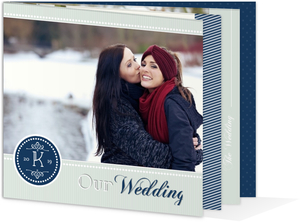 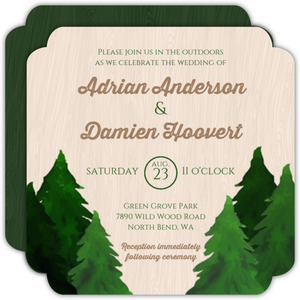 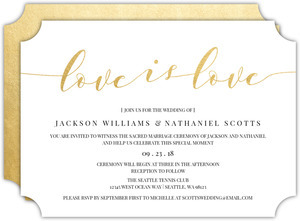 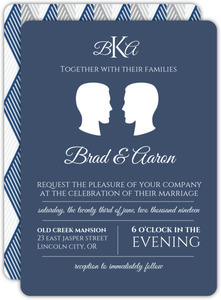 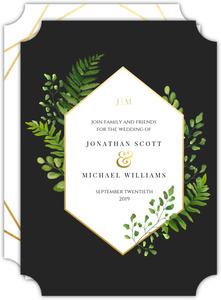 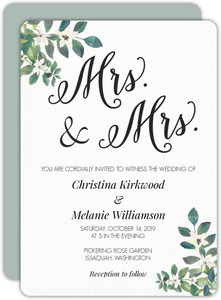 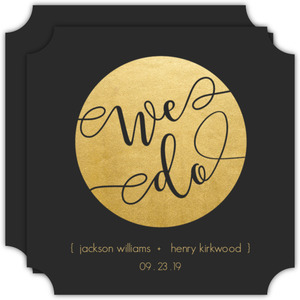 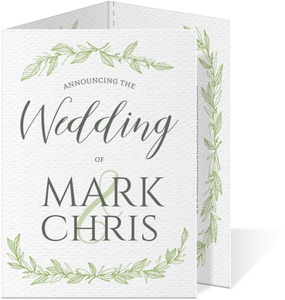 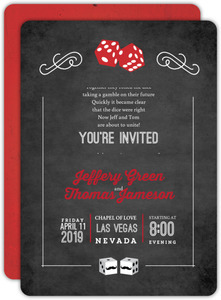 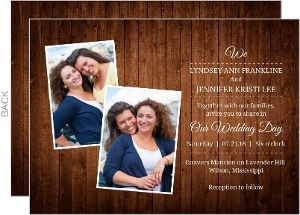 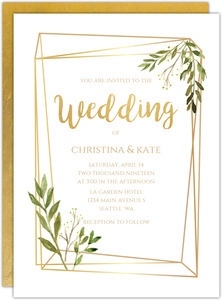 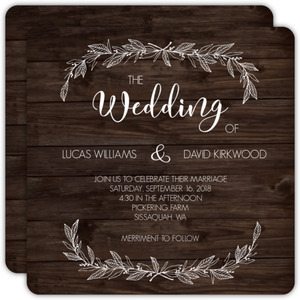 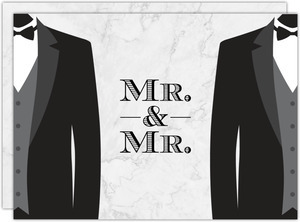 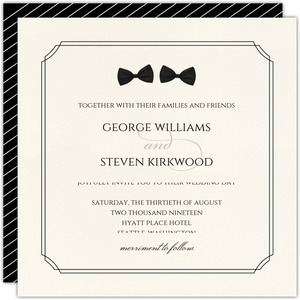 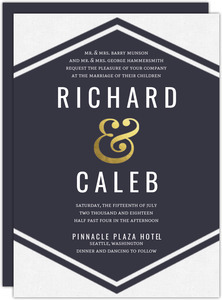 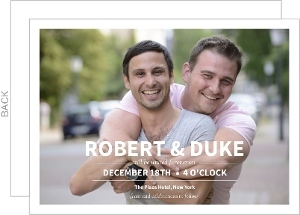 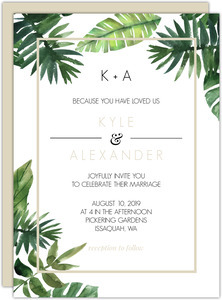 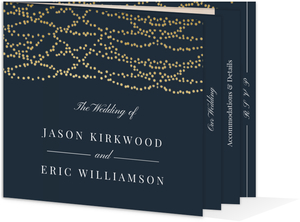 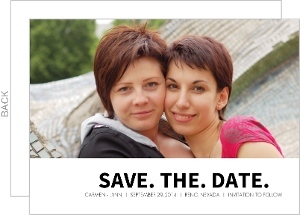 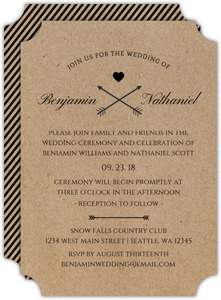 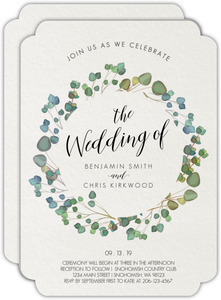 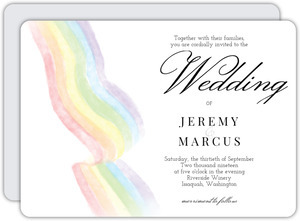 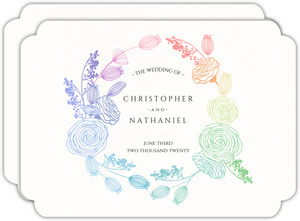 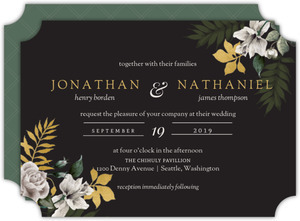 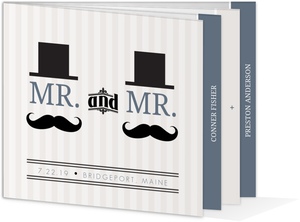 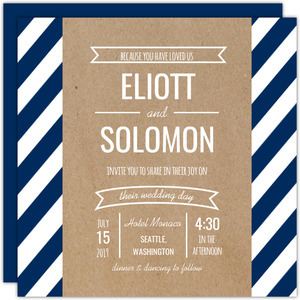 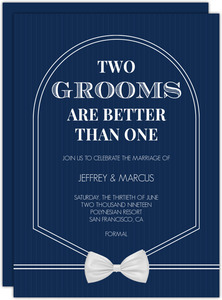 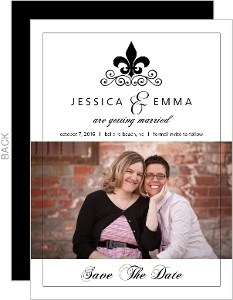 For most weddings, our day to day designs are just as viable, but since people search for these specifically, we made a page devoted only to our gay wedding invites. 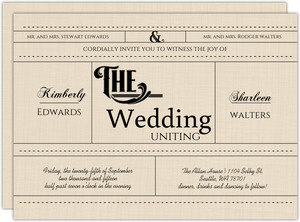 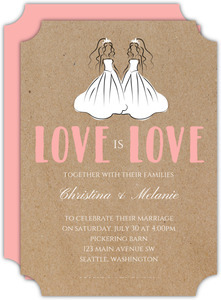 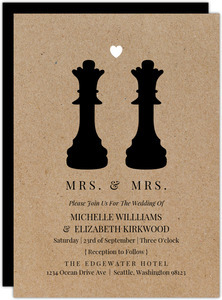 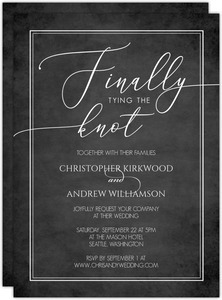 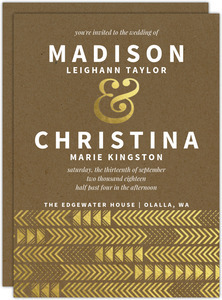 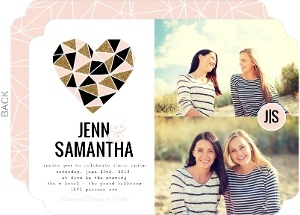 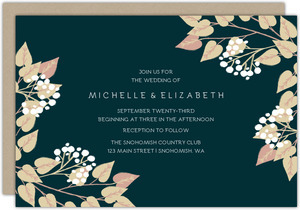 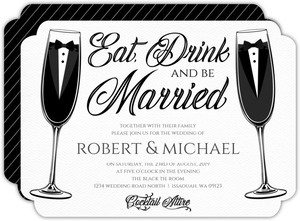 But have a look at the whole site, you'll find more perfectly appropriate invitations for your big day.